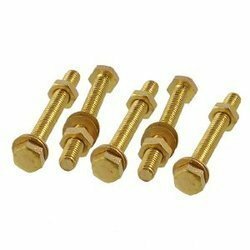 Backed with a team of highly skilled professionals we are engaged in offering a wide range of Brass Nut Bolts. Our clients can avail the offered product at very affordable rates. 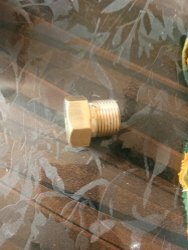 OMB Saleri S.p.A. is considered a leader in the production of brass nuts and brass fittings for gas, water and articles on customer design. Thanks to the extremely accurate production and process controls, OMB Saleri S.p.A. can guarantee to its customers very elevated quality standards. Guru Kripa Wing Nut, Size: 1/4"-3/4"
The brass lock nuts are used for fastening glands to gland plate. These are available in entry threads ranging from 16mm to 100mm size. Also available in galvanized steel and aluminum. We are offering Hose Nuts. We take extreme care that the products are manufactured to the exacting details of product specification. They are precisely engineered premium quality parts.